Immigration policy in the United States, Europe, and the Commonwealth went under the microscope after the terror attacks of 9/11 and the subsequent events in London, Madrid, and elsewhere. We have since seen major changes in the bureaucracies that regulate immigration—but have those institutional dynamics led to significant changes in the way borders are controlled, the numbers of immigrants allowed to enter, or national asylum policies? 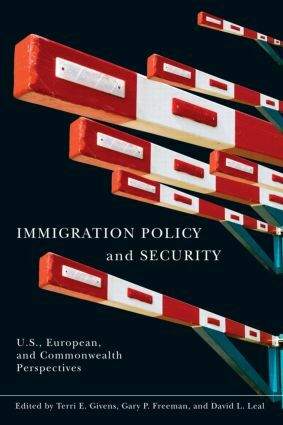 This book examines a broad range of issues and cases in order to better understand if, how, and why immigration policies and practices have changed in these countries in response to the threat of terrorism. In a thorough analysis of border policies, the authors also address how an intensification of immigration politics can have severe consequences for the social and economic circumstances of national minorities of immigrant origin.